Yesterday on QUILTsocial I showed you some of the machine embroidery stitch outs that I did using three of WonderFil’s rayon threads. So far it’s been a great week stitching with and writing about my favorite rayon threads from WonderFil Specialty Threads! A journal cover is a great opportunity to show off new stitching skills and to sew something practical. I often have a number of these covered journals on hand to give as gifts. a book to be covered. For your first project start with something small. 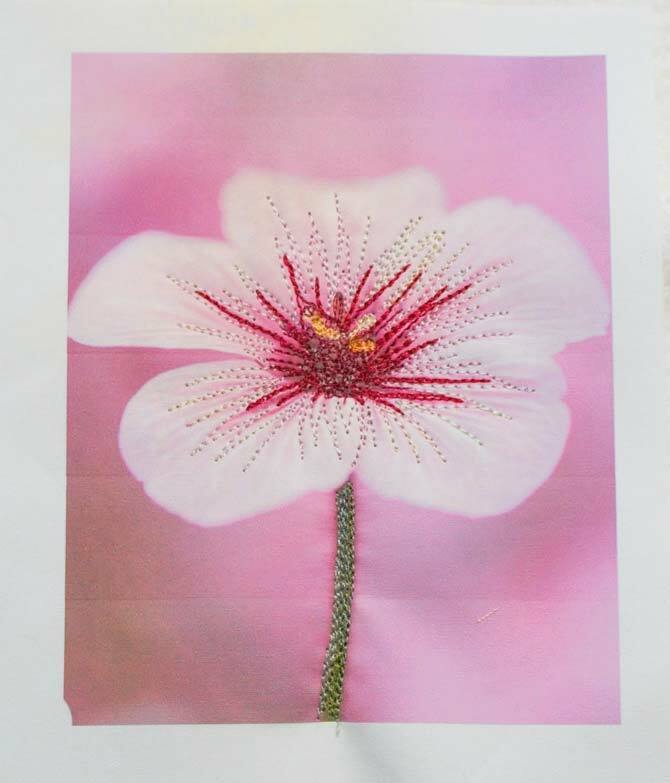 a photograph printed onto fabric. Note: There are a number of ways to do this using a variety of chemical liquids or specialty paper but I don’t bother with any of these methods if I don’t plan to wash the project. I find that printing directly onto plain white fabric with my ink jet printer and then heat setting the ink is sufficient for my purposes. To prepare my fabric for printing I do the following: I cut a piece of fabric and a piece of freezer paper that are each slightly larger than 8½ x 11″. Using a hot, dry iron I fuse the fabric to the shiny side of the freezer paper, and then trim the prepared fabric to 8¼” x 11″. coordinating fabric (approximately a fat-quarter or half yard) for the rest of the journal cover and the inside of the book. 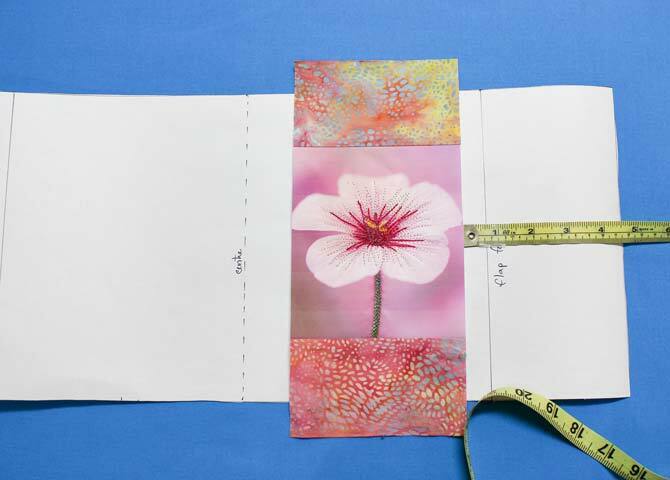 To make the paper pattern for your selected book wrap a tape measure around the closed journal and then add 1″ to 1½” extra to this measurement. This allows for ease. Now measure the width of the front cover and subtract 2″. This measurement will be used for the flaps of the cover. 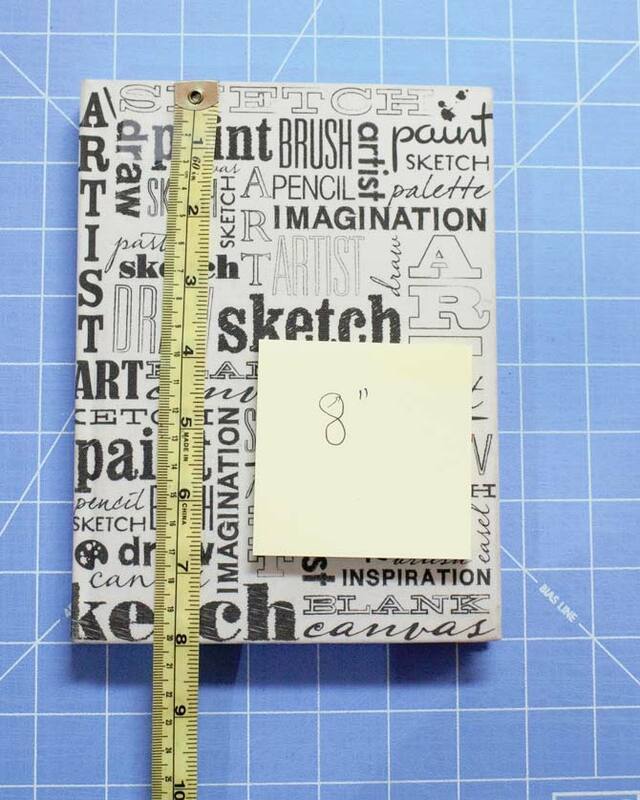 Measure the height from top to bottom of the closed journal. Add 1″ to the height of the cover measurement for seam allowance and ease. Draw a rectangle on a large piece of paper using your measurements. My measurements are in brackets. 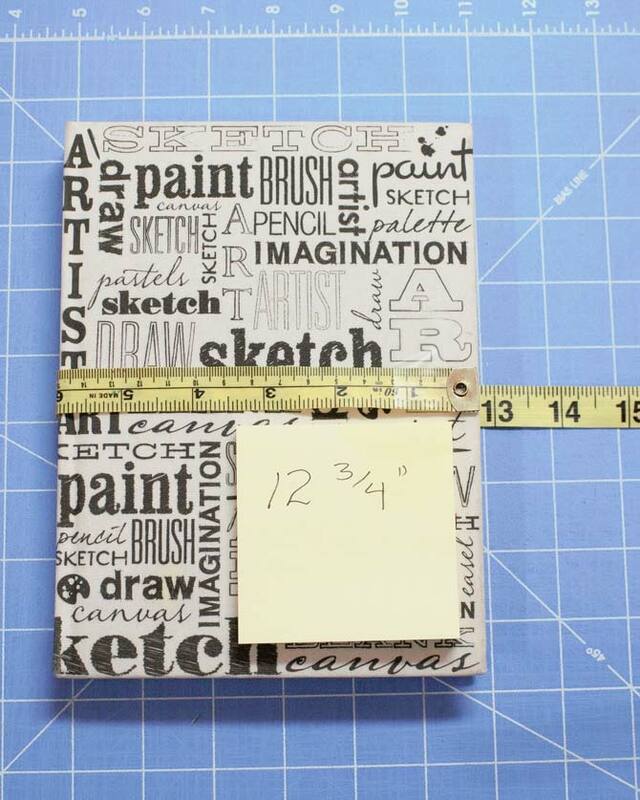 The total width of the book plus 1″ for ease [12¾” + 1″ = 13¾”]. 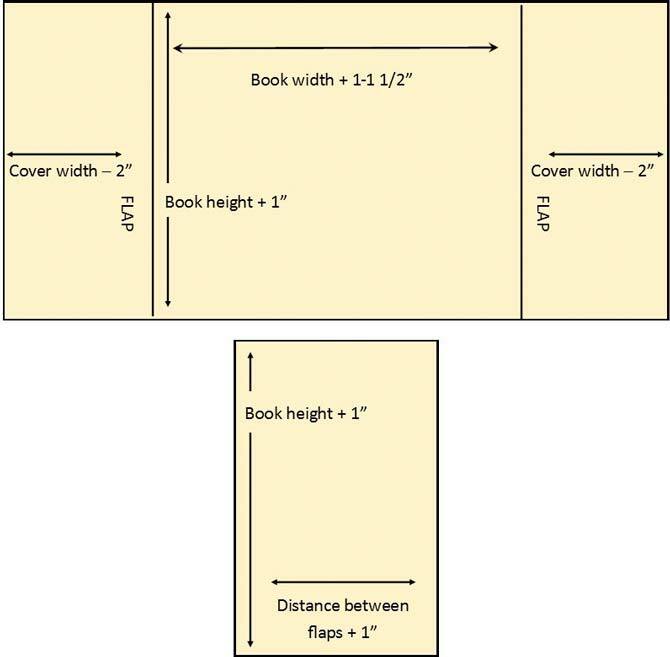 The width of the book cover less 2″ [6″ – 2″ = 4″] and the height of the book plus 1″ for seam allowance [8″ + 1″ = 9″]. So the total width of my paper pattern is 13¾” + 4″ + 4″ wide and 9″ high. Now we need to make a pattern piece for the spine lining. 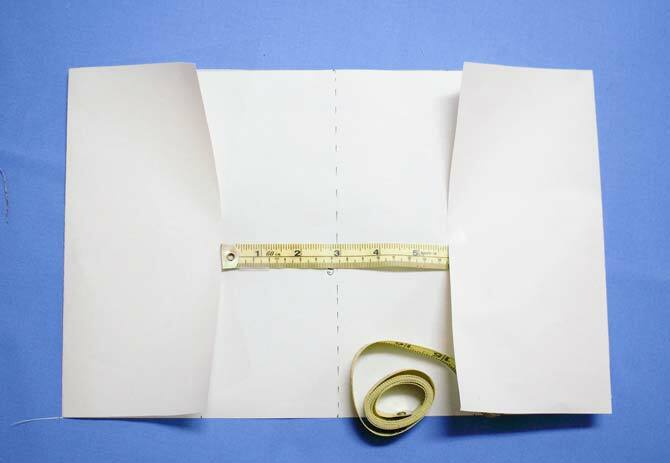 Fold the flap pieces in, measure the distance between the folded flap edges and add 1″. 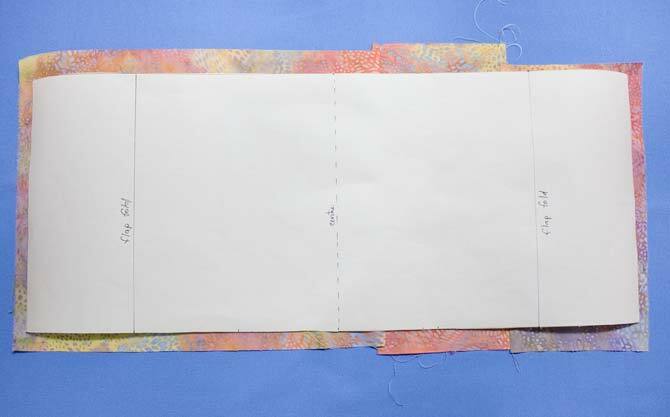 Draw a rectangle on paper that is this width and the same height of the pattern piece for the outside of the cover. You can see that in the image below, the space between the folded flap edges measures 6″. 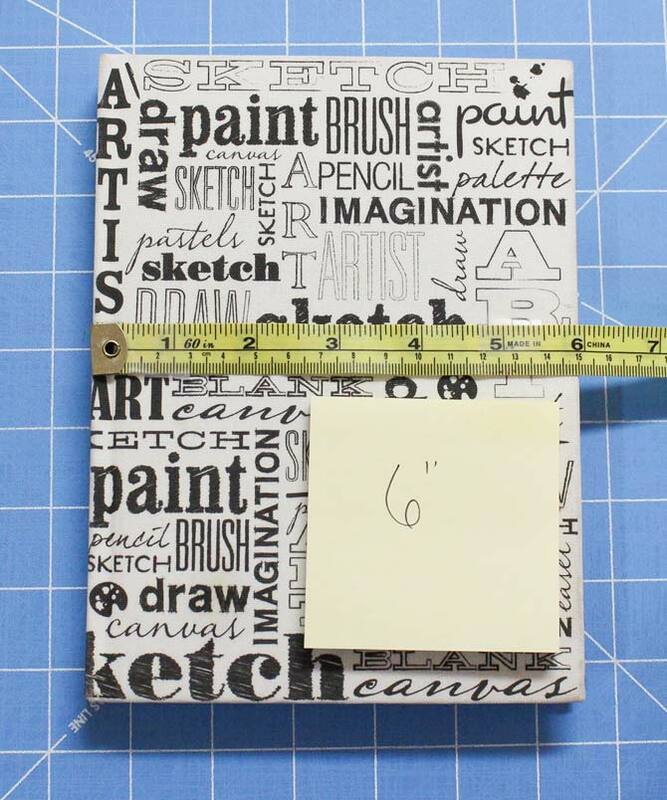 I add an inch to make my paper pattern 7″ wide and 9″ high. 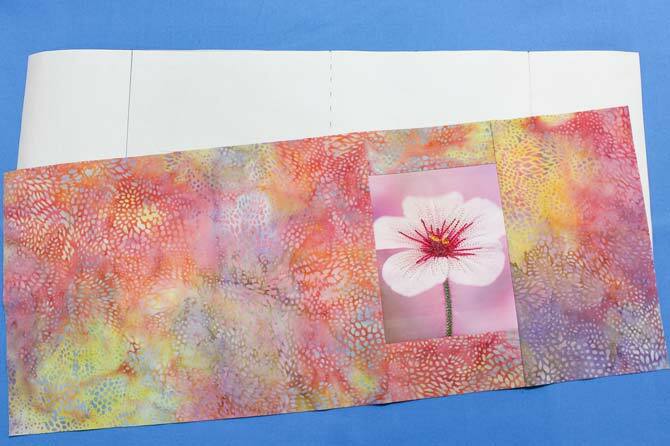 Remove the freezer paper backing and layer the fabric image with a low loft batting. I find a bit of fusible basting spray holds things together nicely. Set your machine up for free motion stitching. Drop the feed dogs and select a straight stitch. You’ll be controlling the stitch length so that doesn’t need to be adjusted. You might want to lower your thread tension to prevent the bobbin thread from showing on top. I always stitch with WonderFil’s DecoBob thread in the bobbin. It’s an 80wt cottonized polyester that’s perfect to use when you don’t want to see your bobbin thread. Start stitching. 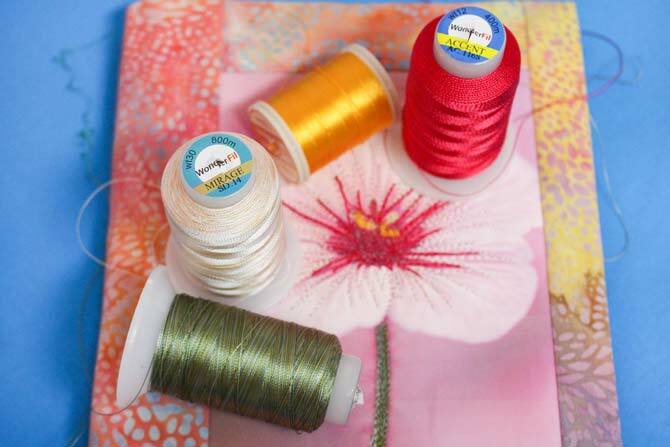 Have fun playing with different colors and weights of the WonderFil rayon threads. 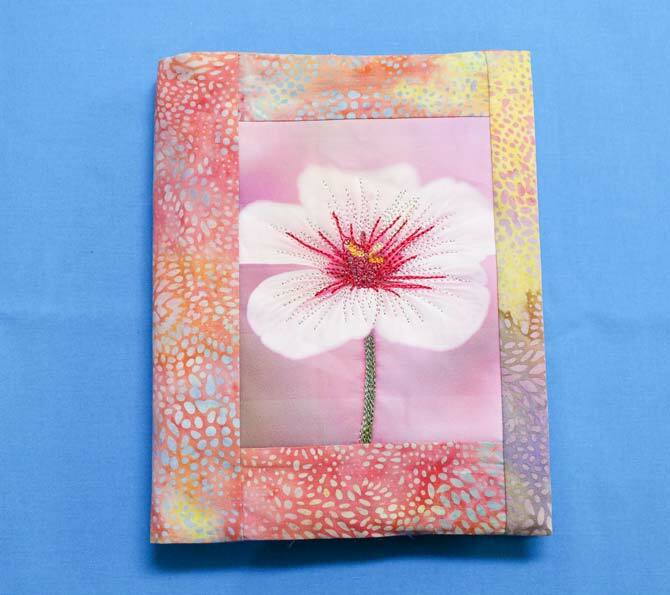 Once the stitching is complete, trim the stitched photograph fabric square. Add fabric borders to the top and bottom of the image if needed to make it larger than the height of the paper pattern. Add fabric borders to the sides of the stitched piece to make it fit the pattern. I laid my stitched photograph in position on the pattern and then cut fabric to fit generously. 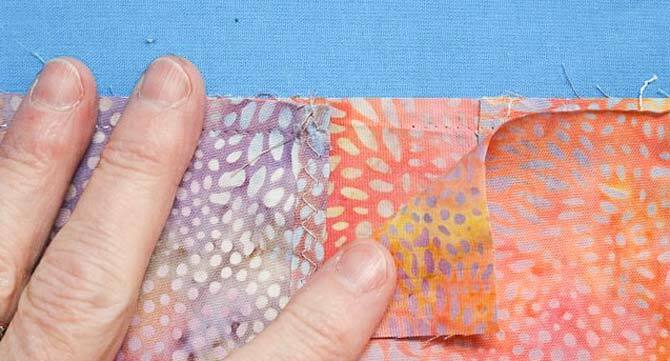 Place the paper pattern on top of the pieced journal cover, making sure that the thread painted image is square on the front cover. Cut the excess fabric from the sides of the paper pattern. Trim the fabric to the size of the pattern. 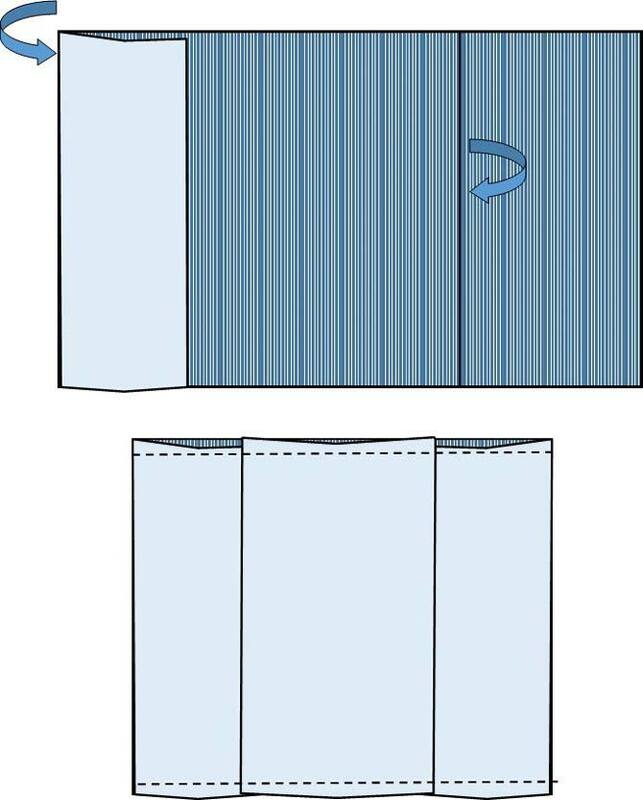 Use the paper spine pattern to cut the fabric for the spine lining. 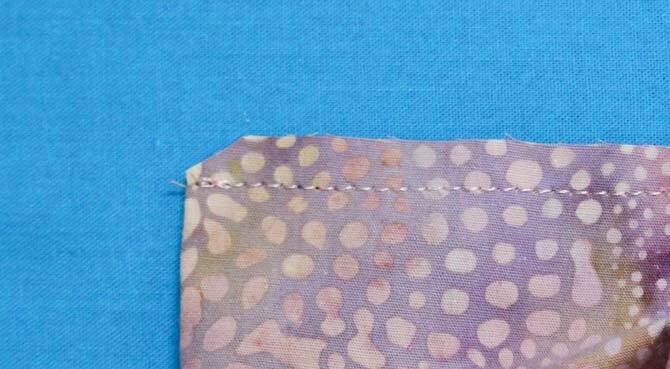 Fold a ¼” hem on the ends of the flaps pieces and finish the hem with either a straight stitch or decorative stitch. Transfer the flap fold markings on the pattern to the journal cover fabric. Fold the flaps in along the fold marking with right sides facing. 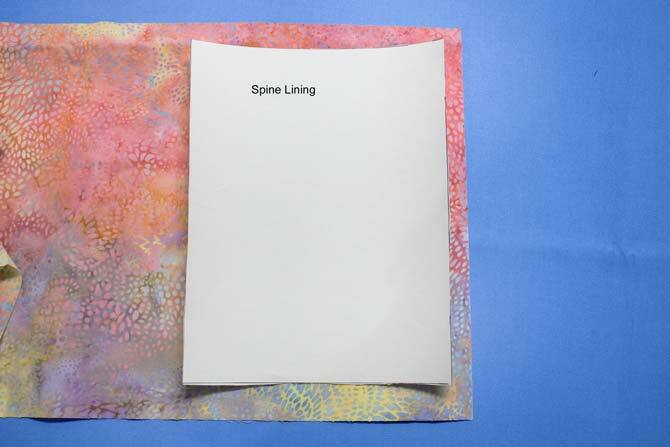 Place the spine lining, right sides facing in the center of the journal cover. Pin across the edges. Sew across the top and bottom edges. Fold flaps over, cover with spine lining and sew. Clip the corners of the seams. Clip the corners of the journal cover before turning it right side out. Turn the journal cover right side out and press. 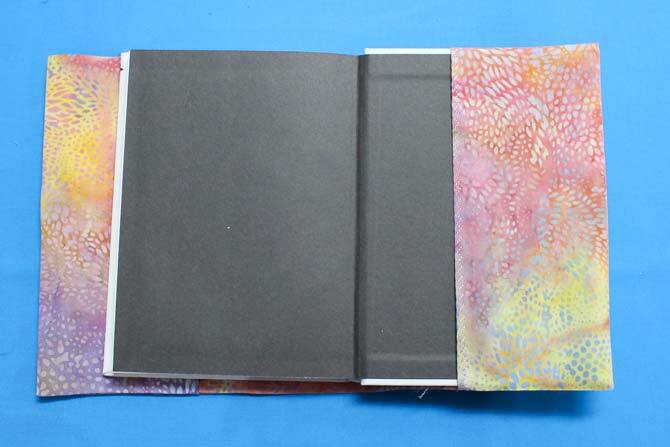 Slip the book front and back covers inside the flaps. Enjoy your beautiful journal cover! Wouldn’t this make a wonderful gift for a friend? As you can see, the WonderFil threads really enhanced the photo on this journal cover! Join me tomorrow when I’ll show you how to make some lovely little bags with the machine embroidered stitch outs that we made yesterday.